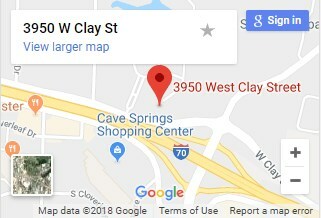 Our Cave Springs facility is located at the intersection of I-70 at Cave Springs on the grounds of our Beautiful Cemetery, St. Charles Memorial Gardens. 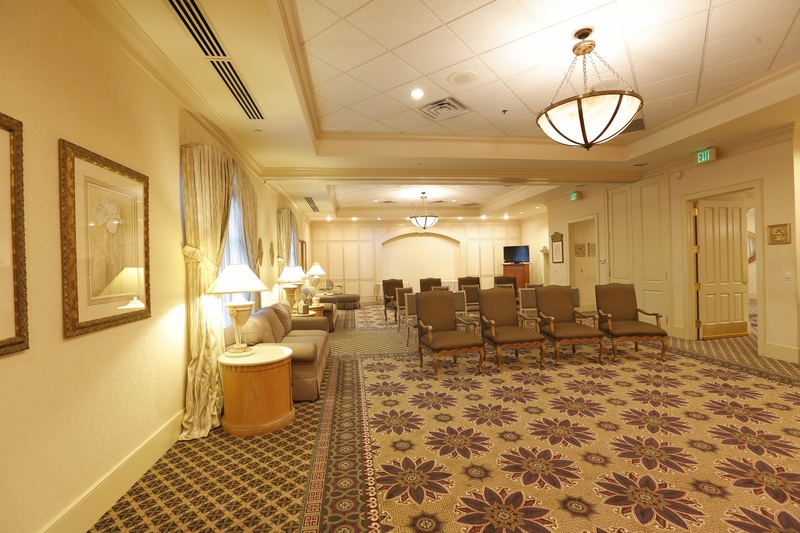 From the time you enter the front lobby, it is evident that this is more than a funeral home. The facility combines the elegance and quality service of our other funeral homes with modern conveniences and amenities, not found in most funeral homes in the region. Every detail is thoughtfully selected to help our guests feel comfortable. 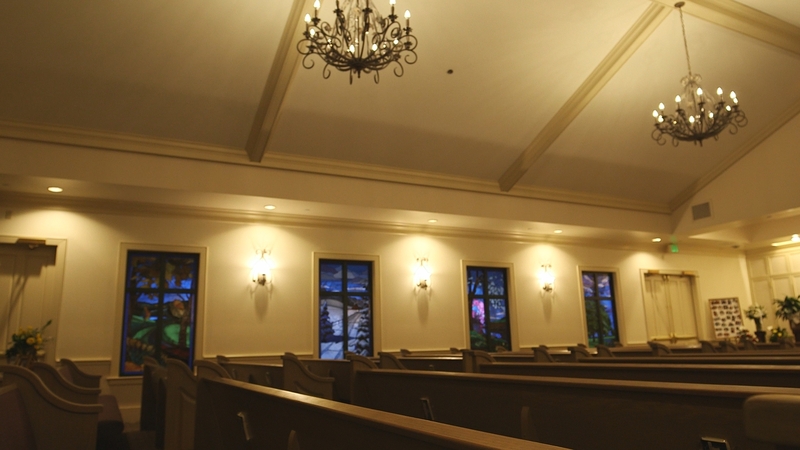 Our Cave Springs chapel features a state of the art sound and video as well as beautifully crafted stained glass windows that seats up to 250 people, with more seating available in the adjoining Tower Room. 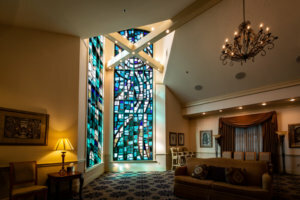 The elegant Tower Room, adorned with a beautiful 30-foot high tower of stained glass, can be used as a special room for a visitation or memorial service or as an overflow area to the adjoining chapel. 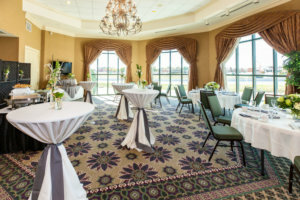 Elegant spacious visitation rooms allow for intimate gatherings or can be opened up for groups of up to 250 people. Family dining and Reception Center for a private memorial service or catered gathering with refreshments or for dining before or after the visitation or funeral service. Our Flower & Gift Shop, located in our front lobby is the only one of its type in the region. Offerings include specialty flowers, memorial gift and tributes, and grief books and mementos. For more information, click here. The private family lounge, located in the lower level, offers relaxation and respite from the obligations of services. 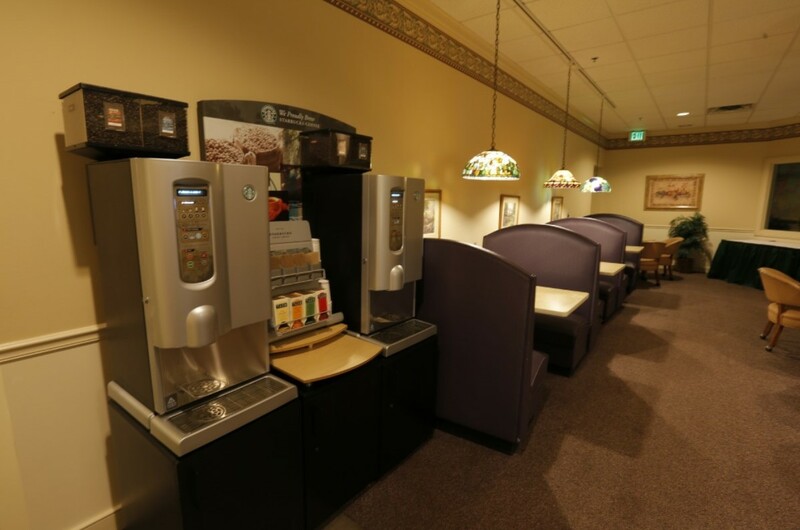 Refreshments and catering are available in the self-serve kitchenette. A secure and soundproof children’s play area with special toys, books and videos is easily supervised through large glass windows. Our Cemetery Offices onsite are in the lower level for your convenience. 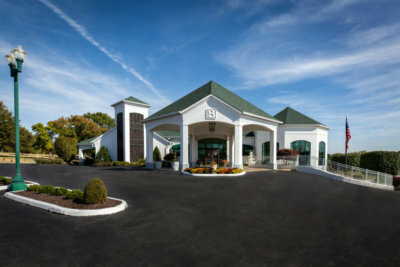 “It doesn’t look like a Funeral Home!” is the comment most often heard from guests regarding our Cave Springs facility. We are located at I-70 at Cave Springs at St. Charles Memorial Gardens. This location combines the elegance and quality service of our traditional funeral homes with modern conveniences and amenities, not found in most funeral homes. 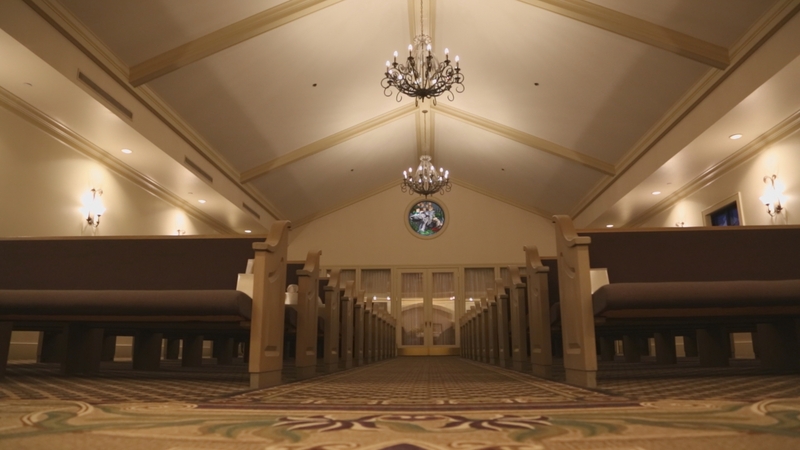 From the time you enter the front lobby, it is evident that this is no ordinary funeral home. The Tower Room room is adorned with a beautiful 30-foot high tower of blue, green and purple stained glass. This room provides a dramatic focal point when lit by natural light or illuminated after dark. Every detail is appointed to help our guests feel comfortable. There are plenty of private areas for relaxed chats off the main visitation rooms. A warm fireplace and oversized chairs and sofas help make a difficult time a bit easier. Located nearby the Saint Charles Memorial Gardens provides a beautiful entry onto our grounds. The lake and flowers on display are enjoyed by everyone attending services. Visit our website or contact us to learn more. Our visitation rooms are spacious, light and elegant. We can accommodate services of any size, including larger groups of up to 250 people. Our Family Dining and Reception Center can be used for a private memorial service with refreshments or for dining before or after the visitation or funeral service. Complete catering services of light snacks to three-course meals can be served. Learn more about our catering and reception services. This chapel, dedicated to the memory of David C. Baue, features beautifully crafted stained glass windows. The “Four Missouri Seasons” are depicted as well as a lovely “Peaceful Swan” circular motif in the center front. Up to 250 people can be seated comfortably in the chapel, with more seating available in the adjoining Tower Room. Live or recorded music and video can be played in the chapel. Private Family and Children’s Lounges are located in the lower level of our Cave Springs facility. A contemporary design helps to offer relaxation and respite from the obligations of services. The children’s lounge provides a comfortable place, but also is equipped with monitors that allow you to view and hear the services taking place. You will be able to relax and still be a part of the life honoring services taking place while little guests also attend in comfort. Refreshments are available in the self-serve kitchenette. Learn more about the Children and Family Lounges and the local artist that created colorful murals for our smallest guests. The Baue Flower & Gift Shop is located in the Front Lobby of our Cave Springs facility. This unique gift shop provides many special memorial gift items as well as funeral and cemetery floral arrangements. For more product information or to order Flowers and Gifts online, click here.